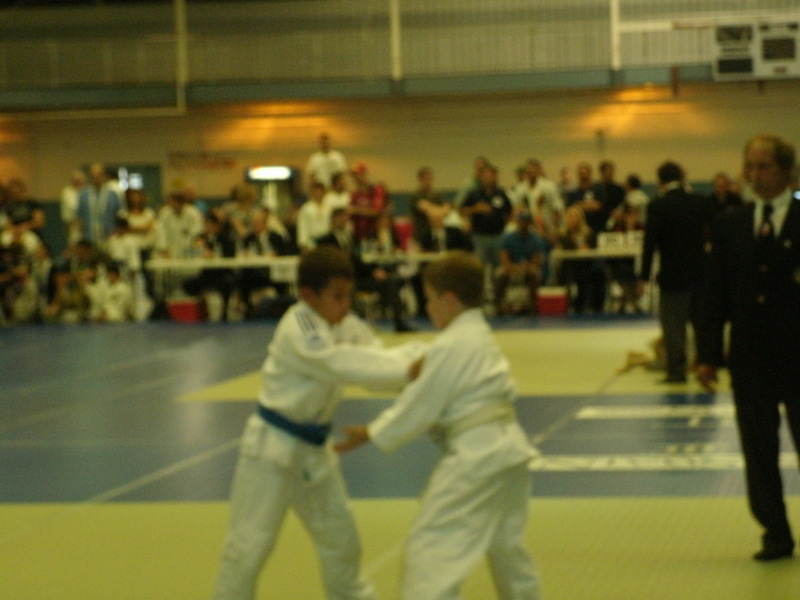 O ne of the most competitive judo tournaments in the Midwest Region is the Tohkon Classic. White Dragon Judo Club represented well at this tournament having six senior and two junior judokas compete in this year’s competition. Tara Kuhne brought two of her best junior competitors to this tournament. Ian Kuhne fought up a division and encountered very tough opposition. After winning his opening match, the young superstar was unable to advance to the medal round. Julia Greene represented the junior girls in this tournament. She performed better than expected winning her opening match. Though the young prodigy fought hard and showed vast improvement she was eliminated from medal contention losing by yuko score in her final match. It was a tough day for the juniors but I am sure these players will be more poised next year as they chalked up some valuable tournament experience. The talented senior team, led by Tom Kuhne, came into this tournament with some positive momentum. The team scored four medals on the day with Tara Kuhne and Anna Feygina taking silver in their selected divisions. Eugene Hamilton had a rough day as he was eliminated in the preliminaries. The up and coming Scott Frick got off to a str ong start but did not advance. Derek Wellman narrowly missed medaling for the tournament in his division. The MVP of the day was Demonn Smith. 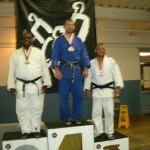 He went 3-2 on the day taking silver in the Master’s heavyweight division. 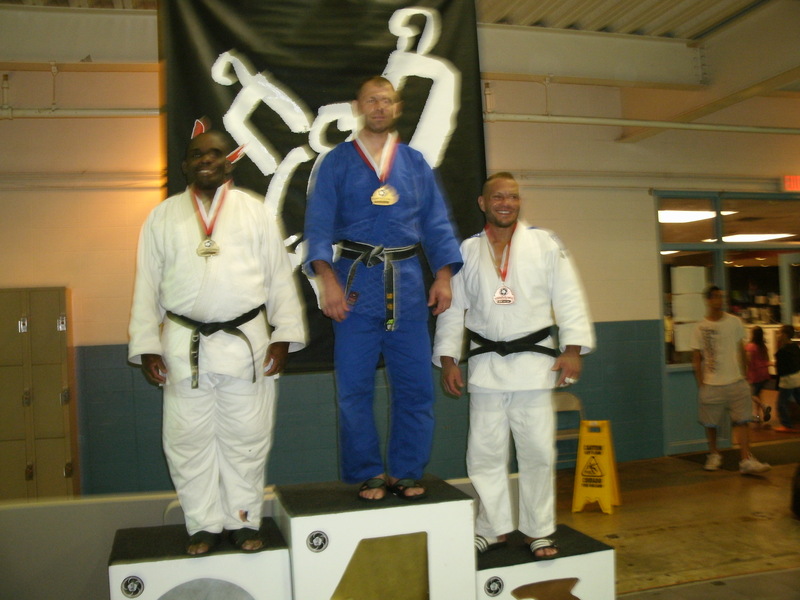 He also took silver in the Open Division scoring victories against nationally ranked opponents. 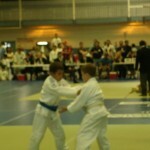 White Dragon Judo Club will be looking to improve upon its performance next year. A good number of these judokas will be returning seeking to win gold.